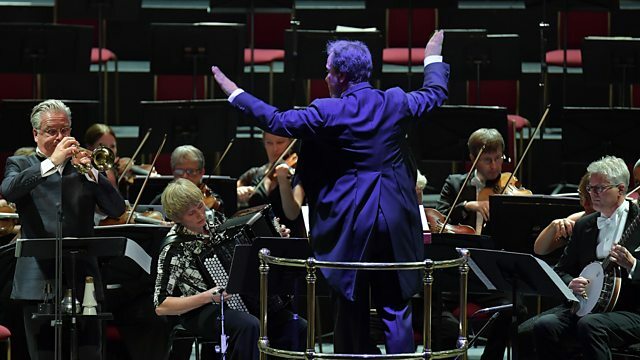 Sakari Oramo conducts the BBC Symphony Orchestra. Dutilleux: Timbres, espace, mouvement. HK Gruber: Busking (with Hakan Hardenberger: Trumpet). Beethoven: Symphony No 5, Op 67. Performer: Håkan Hardenberger. Orchestra: BBC Symphony Orchestra. Franck: Violin Sonata; Debussy: Violin sonata; Ravel: Introduction and allegro.